Bad dog!! How often have we had to say that to our poodle? Dog training courses help you correct bad behaviors. Holly was a pretty good dog, but even she had her moments when her playfulness got out of control or she was having a bad attitude day! If you've brought a new cute puppy into your home and want to train him correctly and effectively with effective tips and techniques, I highly recommend dog training videos which you can watch online. You'll also get written transcripts as well. It'll make training a toy poodle a lot easier! The dog training courses are made by a world renowned dog trainer with over 30 years experience in training dogs and will help you turn your poodle's not so cute behavior into owner pleasing behavior in minutes. Do you have a pet who barks constantly, digs up the backyard, runs away from home, bites, jumps on people, chews things in the house or goes potty in your house? If so, these videos are a must to stop her unwanted behavior. They show you, step by step, how to use gentle basic dog obedience training techniques to quickly end your pet's frustrating behavioral issues. If your puppy won't housebreak, one video shows you how to effortlessly potty train her along with successfully crate training a dog. Another video teaches you how to have your dog come to you every time you call him with vocal techniques and body language - no more ignored calls! If you have an excessive barker, there's a video on controlling barking which teaches you why some dogs are prone to excess barking and what to do about it. Does your dog jump on people? Dig? Run away from you? Separate videos teach you techniques and strategies to correct these problems and prevent them in the future. All techniques in the videos use gentle, loving and positive encouragement, nothing harsh. Is your poodle prone to biting or nipping family members or friends? It's essential you watch the video on the techniques that stop him from biting and learn how you may unknowingly be encouraging him to bite. There are also videos on stopping chewing and helping your poodle overcoming nervousness and shyness around people or during thunderstorms. Being shy and nervous are temperament issues, and you'll learn techiques and strategies to improver her social skills. 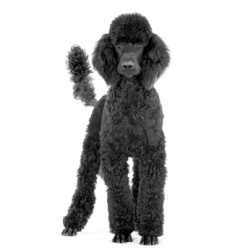 Our beloved poodles have personalities just like we do and are social beings, like us. As a result, they, like us, have behaviors that frustrate and aggravate. 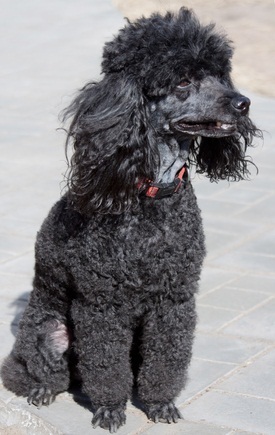 By learning why they behave like they do, and strategies for preventing that behavior, both us and our poodles can lovingly co exist for many, many years.